As promised, I wanted to post an update on our trip to New York. Let me first make it clear that when I say we visited New York, I don’t mean the city. 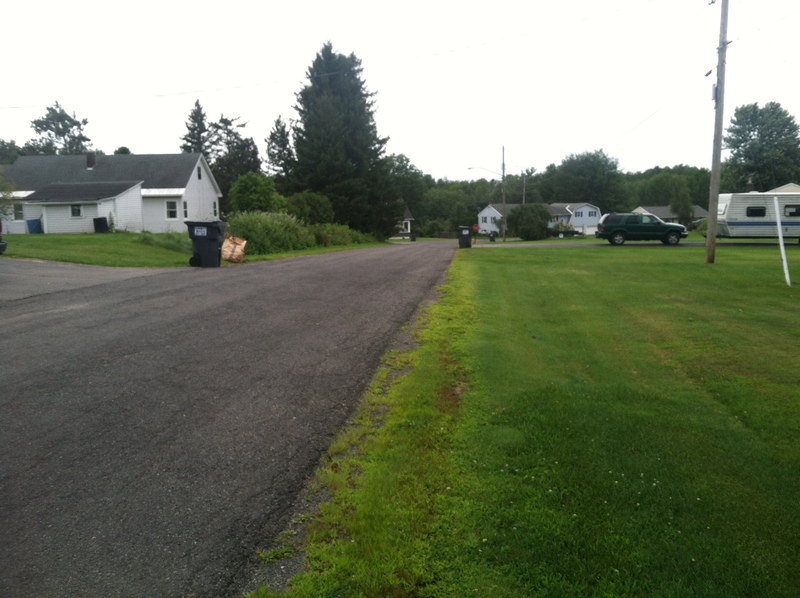 My husband is from a small rural town about thirty minutes west of Albany (you can visualize the surroundings from the picture of the road that I used to work out on). There are three main objectives to our August trip to New York: family, food and horse racing (I will talk about the first two in this post and save the horse racing for tomorrow). Since visiting my husband’s parent’s house requires us to drive 15 hours in the car OR take a two hour plane ride (including an additional thirty minutes in the car from the airport), it is difficult for us to make regular visits (especially with an infant). With that said, we don’t get to see my husband’s family as much as we would like to, so we try to spend a big chunk of time up there (i.e. first objective family). This year we planned a ten day trip that coincided with a visit from my sister-in-law that currently lives in Miami, FL (again family). We also only get to see her a few times a year, so it was great to catch up with her in person. Pre-flight fun at the airport! 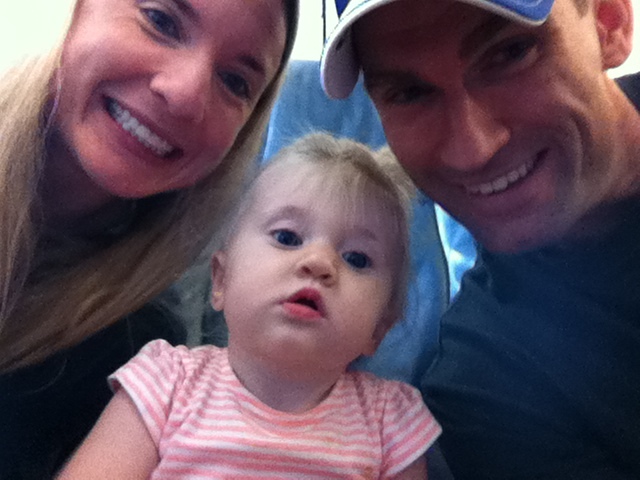 Madison did surprisingly well on the flight. Unfortunately, she did not adjust well to being in a new place with new people once she got to New York. Why was it that I was more worried about the flight than when we actually got there? I couldn’t have imagined how clingy should we be almost the entire trip. People say that their children experience separation anxiety around ten months, but this is the first time that I had seen her cry anytime my husband and I left the room. With that said, we did adjust our plans slightly to try to make her more comfortable during our time there. That meant taking her out and about (especially to meals) A LOT! That brings me to our second objective: food. Since my husband is from a small town, there are very few chain restaurants and a lot of really delicious local, authentic restaurants. 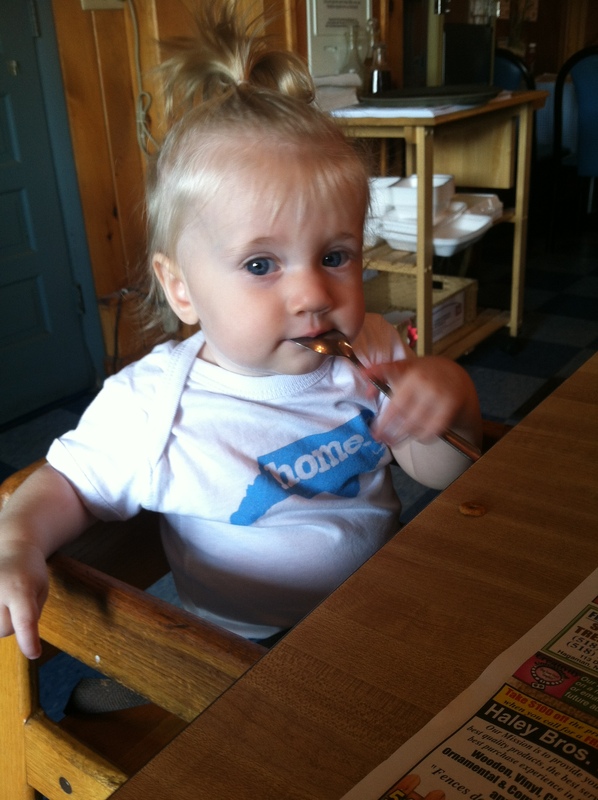 We frequented family owned Italian restaurants. Let me go ahead and forewarn you that most of the food I ate on this trip was almost entirely unhealthy. I guess that’s what vacation is for. 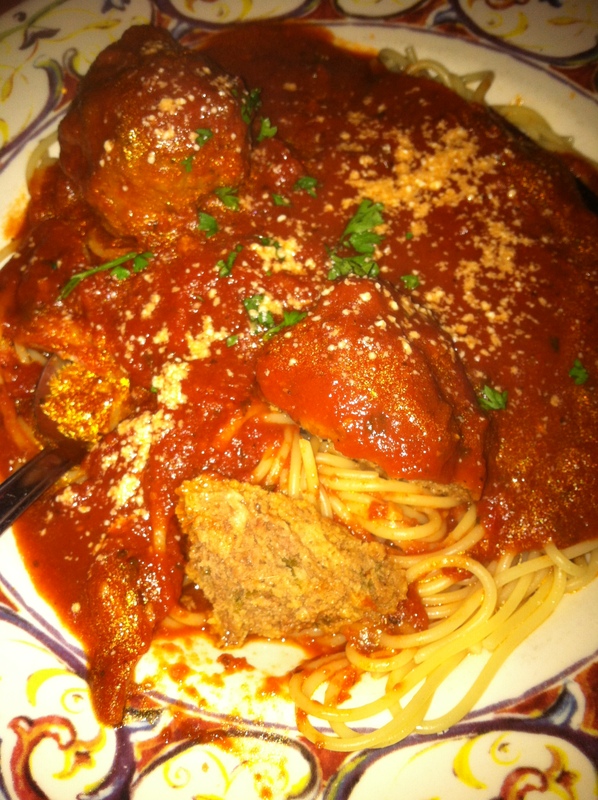 Spaghetti and Meatballs and Russo’s. 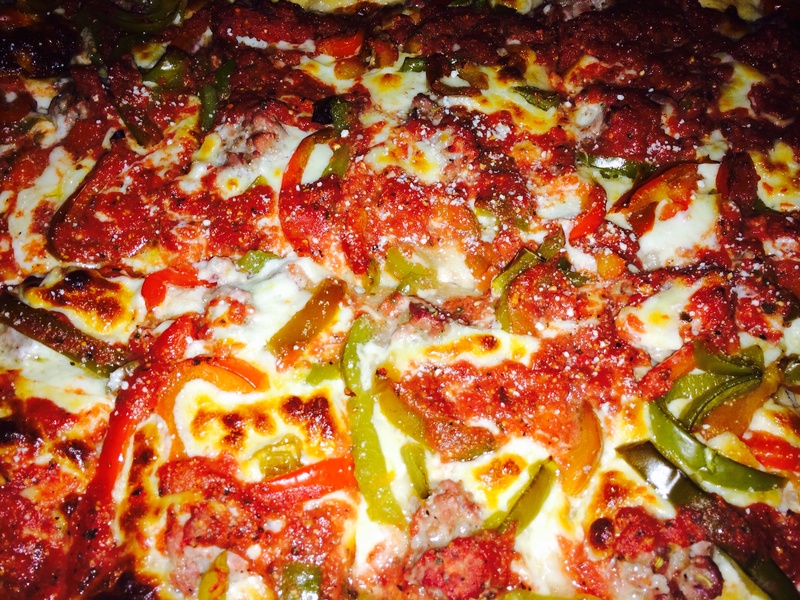 Deep dish Sicilian Pizza at Russo’s. 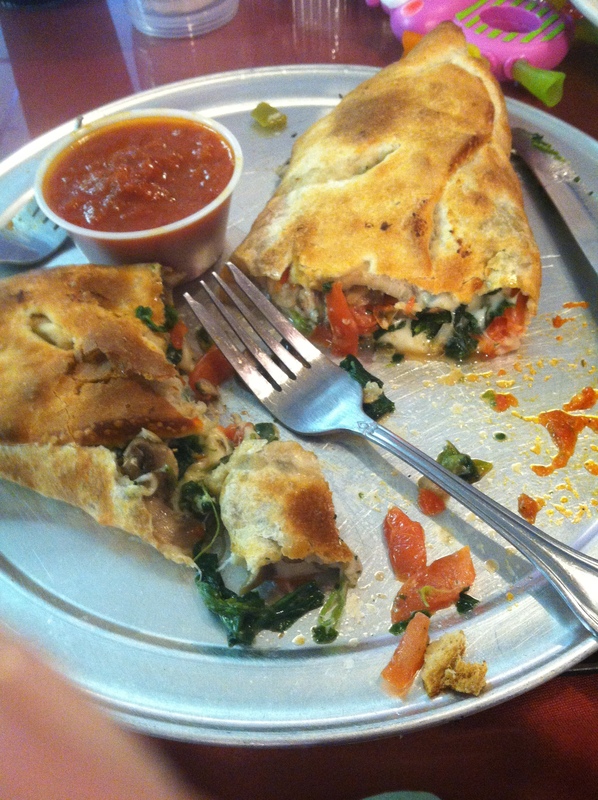 Pizza Roll from Brooklyn Pizza. Thankfully, my husband and I were able to get away for several hours during two of the days that we were there. Of course we went out to eat. Once you have a child (or if you already do), you will start to really appreciate private meals with your spouse more and more. 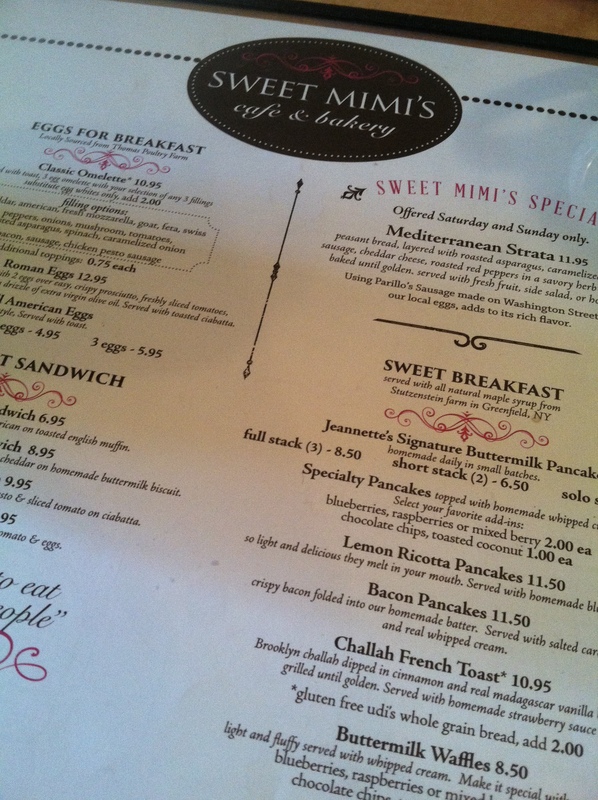 We took a drive to downtown Saratoga and grabbed breakfast at a new, local restaurant called Sweet Mimi’s. Um, do I dare say that this was the best breakfast that I have had in my entire life? I do. The presentation was so good, that my husband, who despises eggs, actually said it looked so delicious that he would dive right in if it didn’t have eggs. Y’all if you know him he doesn’t even like to crack an egg. This says a lot. So what is it? 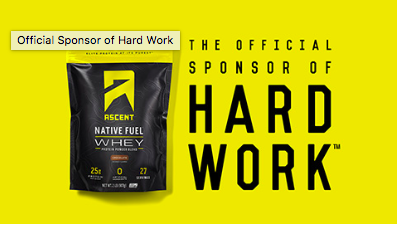 A “Power Sandwich”. 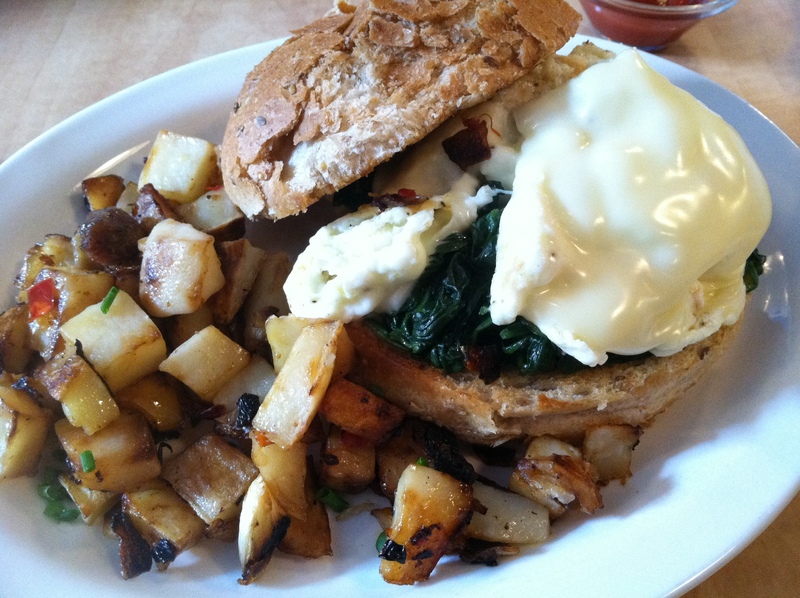 Egg whites, on a hearty multi-grain roll, cooked spinach and tomatoes, topped with American cheese. I couldn’t stop thinking about this sandwich the rest of the time that I was in New York. In fact, I’m still thinking about it. 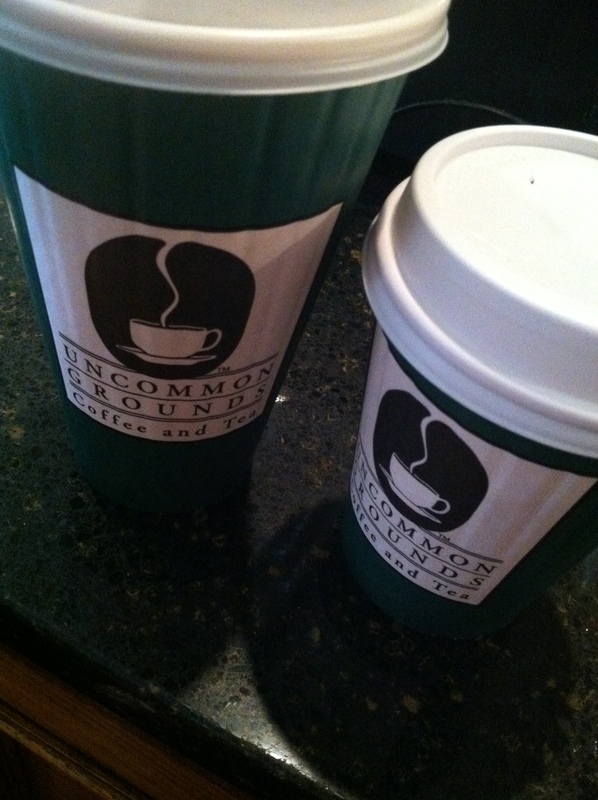 We grabbed coffees at local coffee hot spot, Uncommon Grounds, before cruising around downtown for hours. 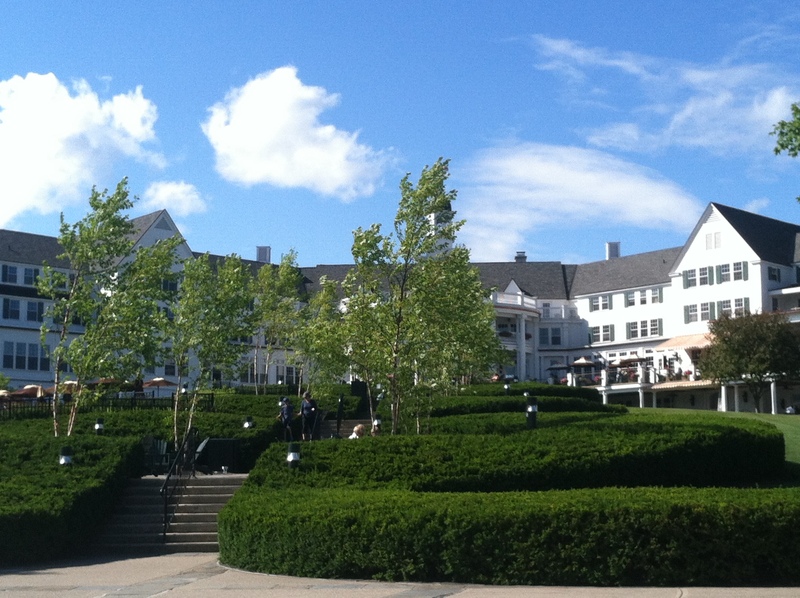 With little to no convincing, my husband took me for a drive up Route 9 from Saratoga through Lake George before we finally arrived at the Sagamore. This place is incredible in early August. Something about old time, exclusive hotels captivates me (think Greenbrier or Charleston Place if you are from the South). I am in love. The vibe at these old hotels almost takes you back in time such that you can feel the character of all of the incredible people that have stayed in its walls over the years. I have no doubt in my mind that we will be back as actual paying guests one day. 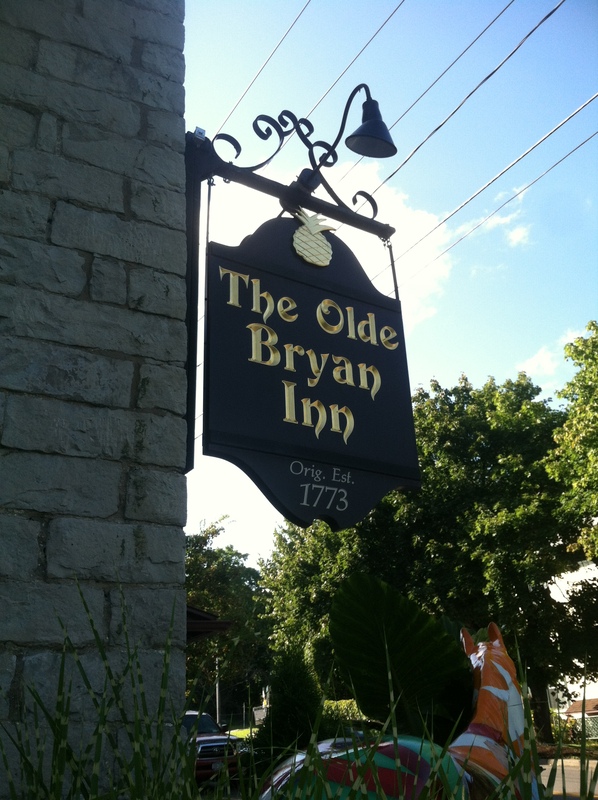 We topped off one of our only days solo with another great meal in Saratoga at the Olde Bryan Inn. We didn’t have a chance to eat much after our big breakfast, so this place was just what we needed to refuel. I’m talking good, old home cooked food. 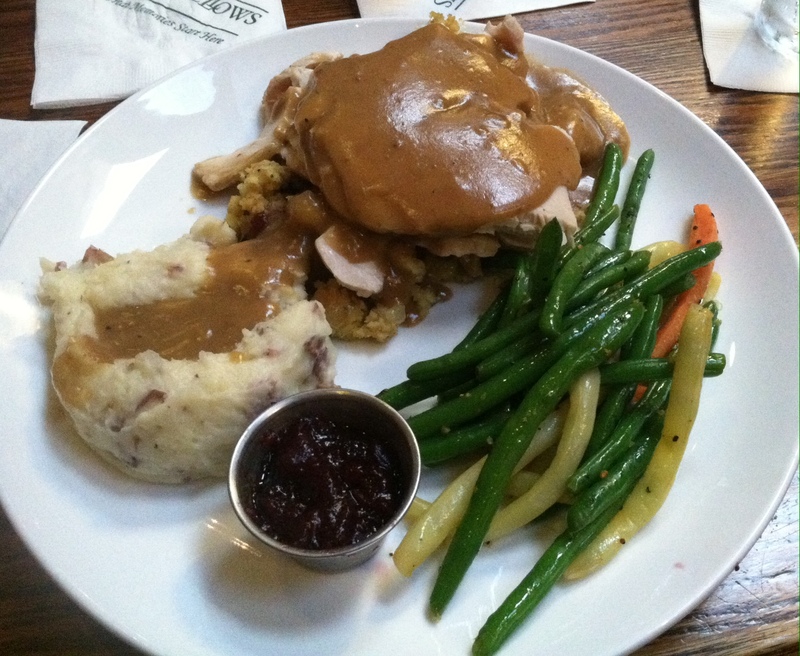 What do you say oven roasted turkey, mashed potatoes, green beans and a biscuit? I’m still thinking about my “Power Sandwich”. 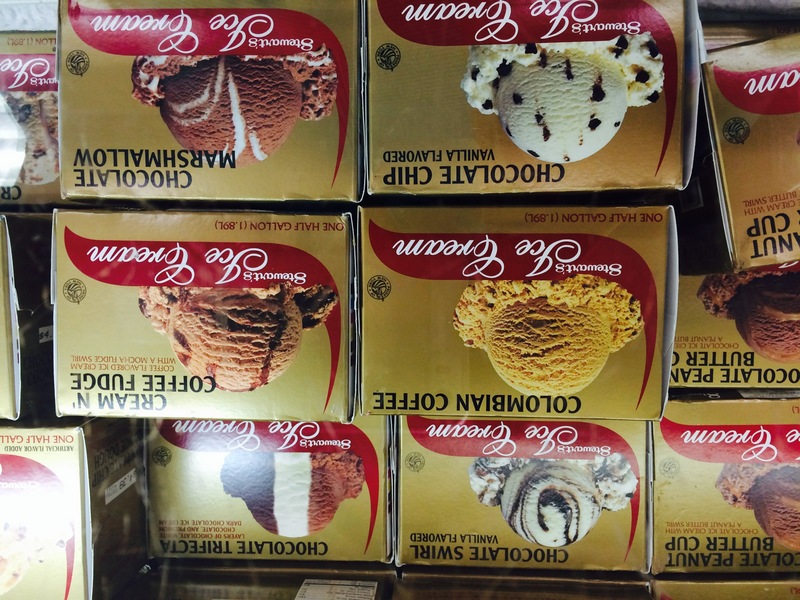 As I finish this post about family and food on our big trip, I have to mention dessert. For a place that’s average temperature is under 80 degrees almost the entire year, excluding the summer, I have never seen more fresh ice cream brands and shoppes in such a small area. 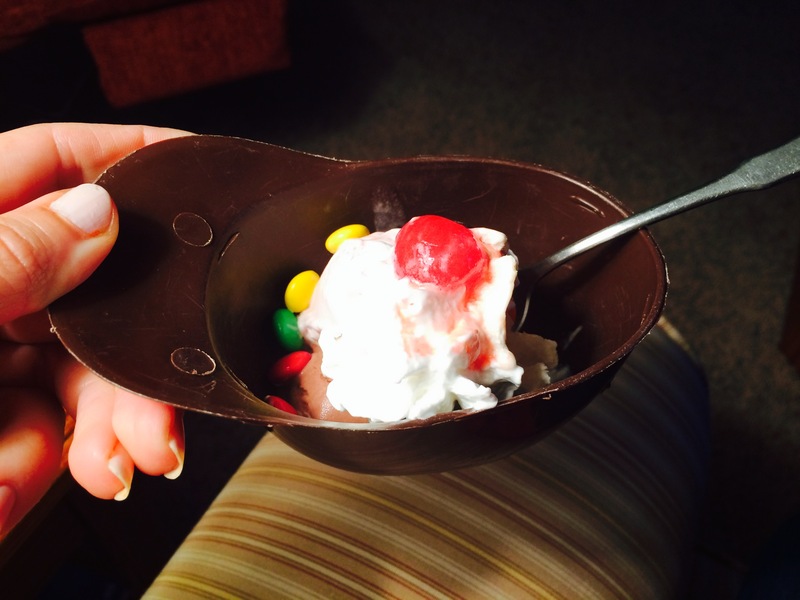 If we weren’t going out for ice cream, we were making mini sundaes with the local favorite, Stewart’s ice cream. I have to say that as much as I love the carefree eating, it feels good to be back on a regular healthy eating routine. I can’t tell you how much better I feel when I am eating cleaner foods. We did get to enjoy some great family dinners at the house thanks to my husband’s mom. 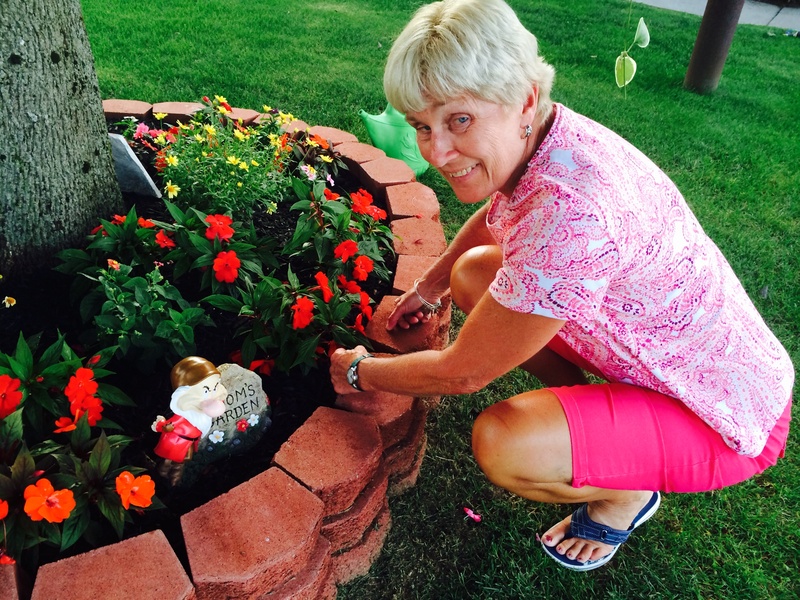 She was a trooper dealing with my whiny daughter, yet still taking care of us like we were kids home from college. Check out tomorrow’s post where I will catch you up on the horse racing part of our trip! 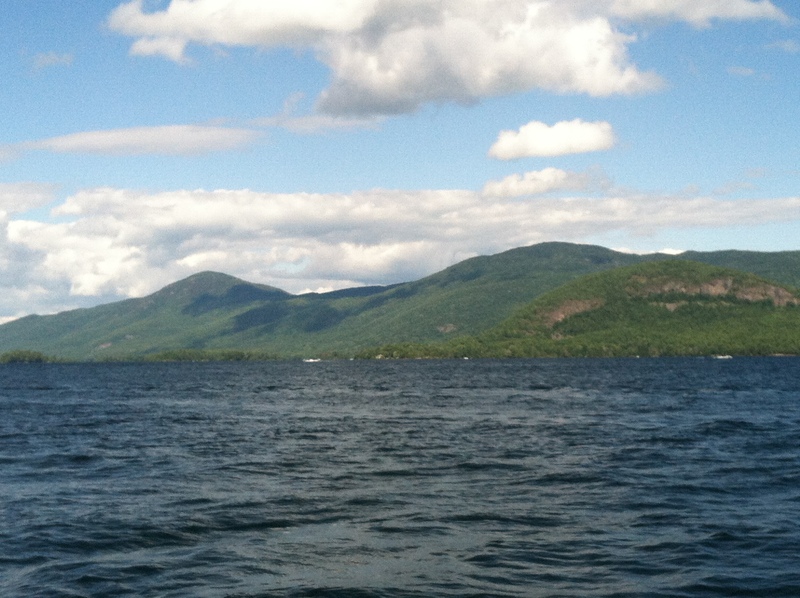 This entry was posted in food, travel and tagged Italian Food, Lake George, Olde Bryan Inn, pizza, Russo's, Saratoga, Stewart's ice cream, Sweet Mimi's, The Sagamore, Uncommon Grounds on August 19, 2014 by flyjenduf.